To become a fast and efficient Motion operator means that you’ve got to know your way around Motion’s timeline. 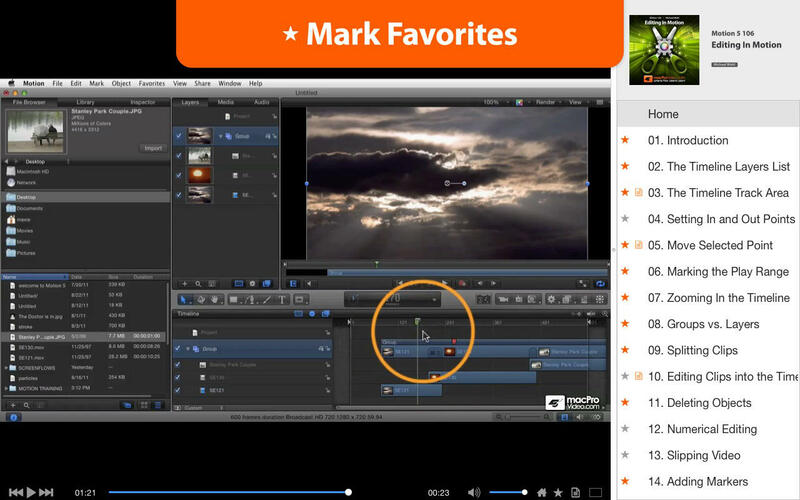 And who better to teach you these required skills than Master Editor Michael Wohl. In this tutorial you’ll learn everything you need to know to edit your Motion projects to perfection. You’ll create layers. You'll also see how useful it can be to group them, to keep things organized and functional. Then there’s an essential section on creating and navigating with markers to speed up your workflow. From there Michael goes into retiming. He shows you everything from simple speed changes to creating retiming behaviors from scratch. 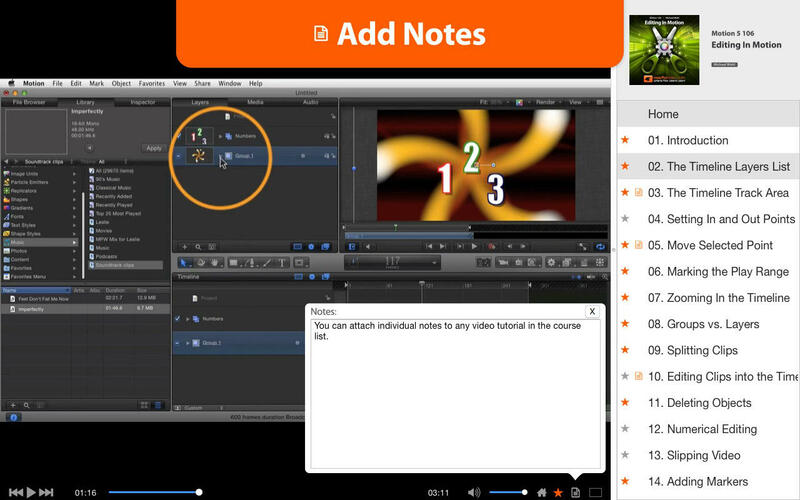 And there's one more thing: Motion 5 does audio, too! Learn how to add, mix, pan and how to create cool audio behaviors in this no stone left unturned video tutorial program! 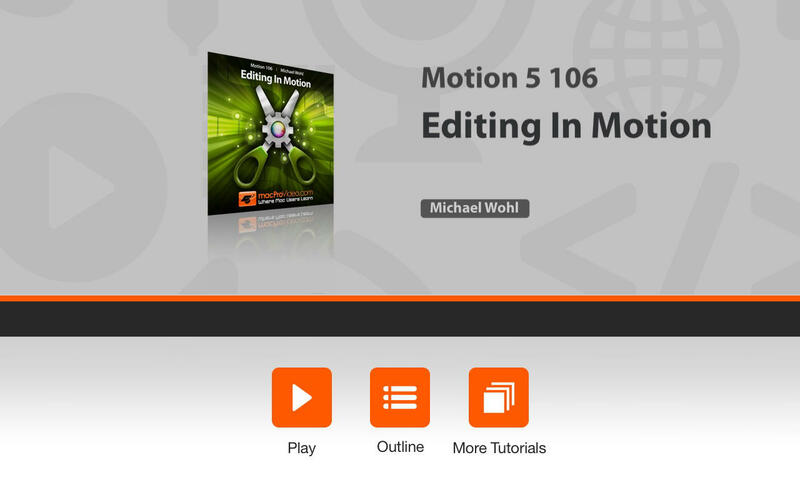 Take your Motion 5 projects to the next level and master the art of FX editing by going on this in-depth video tour with Michael Wohl!